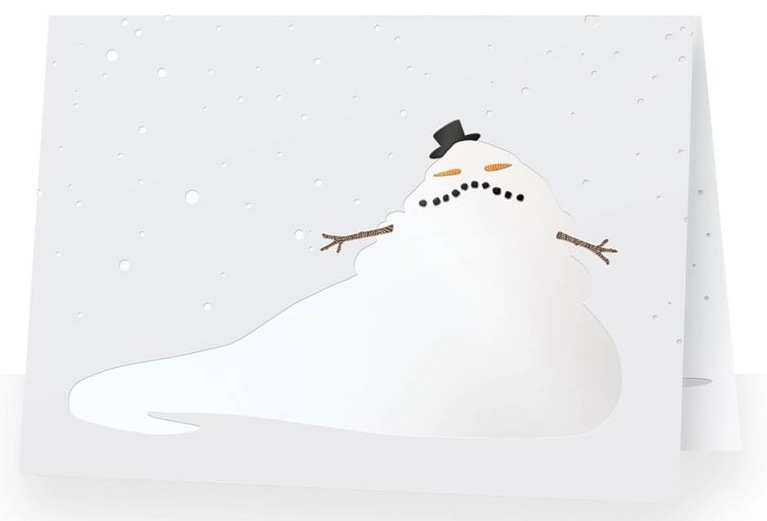 Lucasfilm puts out a different Star Wars-themed holiday card each year, and this year it features Jabba the Hutt as a snowman. (Reminds me a bit of the Snow Jabba I made last year…) I hope I’ll be able to find one of these somehow. It would make a good joint display with the LucasArts “Jabba Claus” card I have. Very nice. Good luck finding one.